Looking for a reliable local mover in Singapore? When you are faced with a myriad of movers and each claims to have ample experience and good services, which mover should you choose? One proven strategy you may want to take focuses on two words: price and reviews. This means you can firstly find out the service level of each mover based on genuine reviews and then pick a good service with a good moving price. If the strategy sounds right to you, this thorough list of local movers in Singapore with Google reviews and pricing information is just what you need. P.S. Premium international movers in Singapore like Santa Fe may not be necessary for your local move and are thus omitted from discussion. 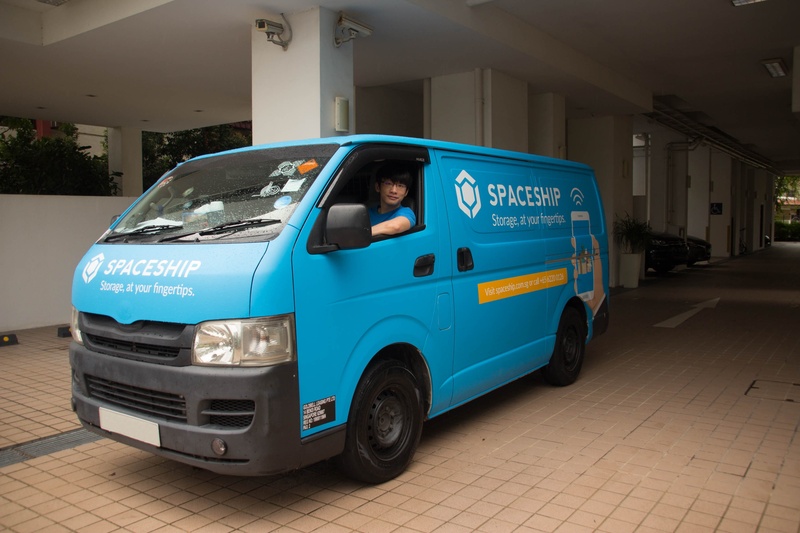 Newly-started Spaceship Moving Service strives to make sure you enjoy a smooth move. With a prime focus on services, Spaceship has infused international standard into every stage of its service. From the site survey, to packing, wrapping and additional full services like disposal and storage, Spaceship takes care of every detail to ensure your move is smooth. Yet, it strives to help you save more by managing the price at the local level. You may want to experience it to believe it. As the name suggests, Family Movers has a clear service focus on family-related moving. It even has one-of-its-kind moving service for pets including documentation assistance in the new place. Yet, the service charge may be relatively higher than others. It scored 4.3/5 based on 12 Google reviews, with incidents of item missing or damage without assistance with insurance claim. Shalom Movers started 36 years ago and has served 103 governmental institutes, 1280 educational, 86 medical, 188500 residential, 21920 commercial. Yet the price is higher compared to other local movers and the service level is deemed not on par with the pricing. It receives 2.8/5 from 40 Google reviews with complaints mainly about the inflexible timing, slow and non-accommodating customer response. Red Sun Movers started 21 years ago and has served 25 government-related, 34 private firms, 15 educational institutes in Singapore (updated on 2016). It scored 2.5/5 from 8 Google reviews which revealed some incidents of improper handling of customer requests and item damage. CYC started 15 years ago and has grown large enough to handle warehouse move. It also can properly move IT infrastructure. Its pricing is above the market average. Vimbox Movers has a relatively limited service range. It won Promising SME 500 (an award for successful local businesses) in 2013 and receives an impressive record of 4.8/5 from 136 Google reviews. Most of their google reviews are politely replied. Most moving companies in Singapore charge dismantling and assembling service yet Yong Shen makes that complementary. It has good record of 4.5/5 from 94 Google reviews. From other forums, there were unhappy incidents of item damage. Soon Seng started 28 years ago and scored 4.4/5 from 11 Google reviews. Some complained that the service did not match the high price. A customer mentioned their site surveyor explained their service in details nicely. Elite Movers scored 3.2/5 from 16 Google reviews while the negative reviews were mostly from at least 1 year ago. KNT Movers won Promising SME 500 (an award for successful local businesses) in 2013 and makes a name as cheap movers in Singapore. It receives 3.6/5 from 46 Google reviews. There are incidents of no follow-up or no reply to customer enquiries and no compensation for item loss or damage. Rodex Movers started 30 years ago. It scored 3.2/5 from 22 Google reviews, with incidents of rejections to compensation for item damage. Phoenix Mover is able to move a wide range of special items including IT infrastructure and heavy machinery. It receives 3.9/5 based on 12 Google reviews. Review: 2.9/5 based on 18 Google reviews. Review: this is a low-cost mover and there is not enough Google reviews. From the thorough list of commonly used movers in Singapore and their reviews, which ones are you keen to know more? Since different movers have different pricing methods and service details, you are highly recommended to engage several movers for a site survey and quotation. Based on the quotation and your interaction with each companies, you can make a sound decision for a smooth and satisfactory home move. You may obtain a comprehensive list, reviews and cost guides on the different local movers at SGHomeNeeds.